The boxer clocked 29 years of age yesterday. 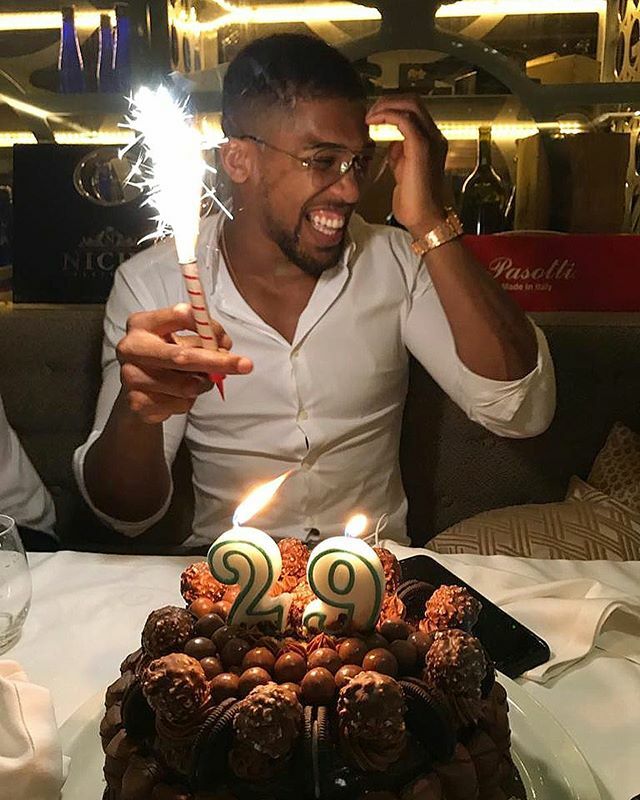 Anthony Oluwafemi Olaseni Joshua, OBE who is a British professional boxer and a Nigerian, shares cute photo as he celebrate his 29 years birthday yesterday. He is currently a unified heavyweight world champion, and holds three of the four major world championships in the sport.